The No. 8 Texas A&M men's tennis team hosts No. 7 Mississippi State Friday evening at the George P. Mitchell Tennis Center at 6 p.m. (CT). The Bulldogs (17-3, 9-1 SEC) will be the 11th top-25 opponent for the Aggies (19-5, 9-1 SEC) this season, A&M has recorded a 6-4 record against ranked opponents. COLLEGE STATION, Texas — The No. 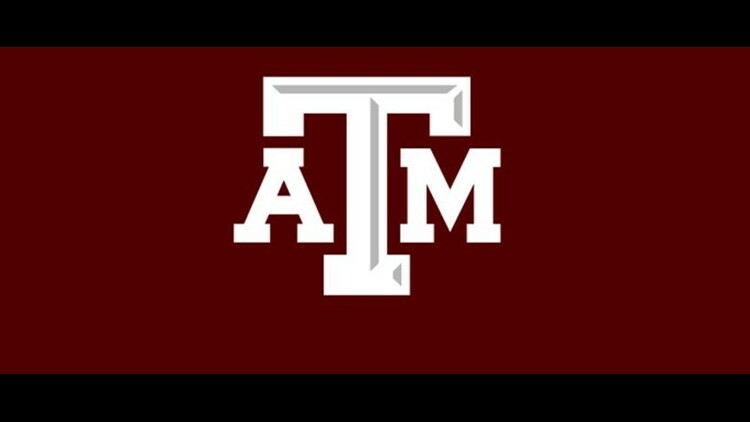 8 Texas A&M men's tennis team hosts No. 7 Mississippi State Friday evening at the George P. Mitchell Tennis Center at 6 p.m. (CT). The Bulldogs (17-3, 9-1 SEC) will be the 11th top-25 opponent for the Aggies (19-5, 9-1 SEC) this season, A&M has recorded a 6-4 record against ranked opponents. The Maroon & White return to action after topping Kentucky and Vanderbilt last weekend before dropping a 4-3 match at No. 10 TCU on Monday. The Aggies have won 16 of their last 18 matches, the setbacks were at No. 2 Florida and No. 10 TCU. The Aggies had won 14 straight overall matches and 21 straight regular season SEC matches before the setback in the swamp, the conference win streak is the longest by any A&M team in the SEC era. A&M and Mississippi State have matched up 13 times on the tennis courts, the Aggies have won eight matchups in the series with the last victory coming in the final weekend of the regular season last year to secure the SEC Championship for A&M. Mississippi State slipped by the Aggies in the SEC Tournament title match, 4-3, to mark the first loss by the Aggies to an SEC opponent in over a calendar year. The Aggies have posted a 9-1 record in the league, trailing No. 3 Florida (11-0) and tied with No. 6 Mississippi State (9-1) in the SEC standings. A&M has secured a top-four seed in the SEC Tournament for the sixth straight year and the Aggies have beaten or equaled their pre-season prediction by the league coaches for the seventh straight season. A&M has won at least 20 matches in each of the last five seasons under Denton’s instruction and seven times in his 12-year tenure. Five times during the last decade, Texas A&M has hit the 25-win mark, winning 25 in 2010, 29 in 2011, 25 in 2014, 27 in 2016 and 26 in 2018. Following the matchup against the Bulldogs will close out the regular season at home against Ole Miss on Sunday.